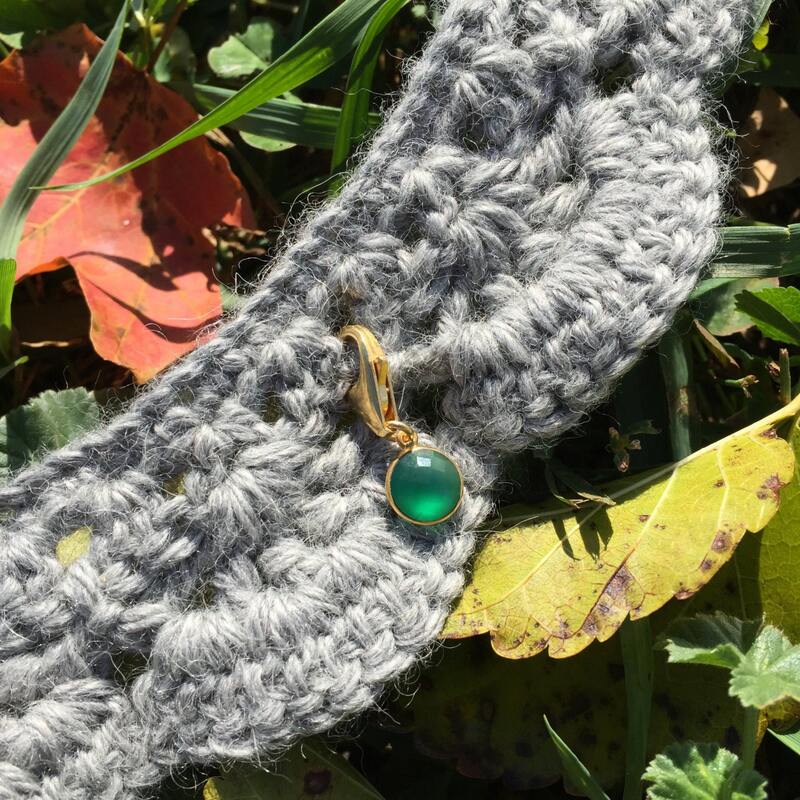 Your knit and crochet dreams have come true! 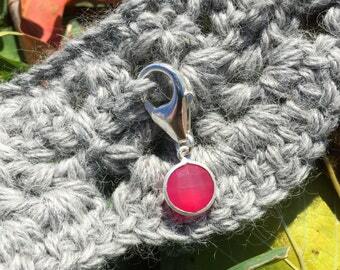 This green onyx progress / stitch marker combines your love of gems with your obsession with creating knit and crochet items! 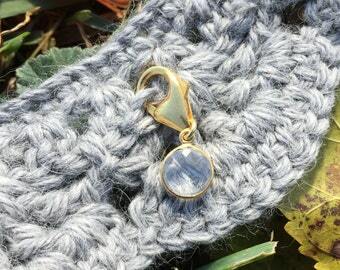 Bezel set and made entirely in luxurious gold vermeil, use this clasp as a progress marker on your current knit project or a stitch marker on your latest crochet creation. You bring time, effort, and talent to your yarn creations – you deserve to adorn them with more than just plastic markers. 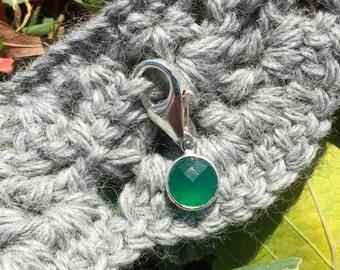 Featuring a beautiful green onyx gemstone, it’s like jewelry for your work in progress! 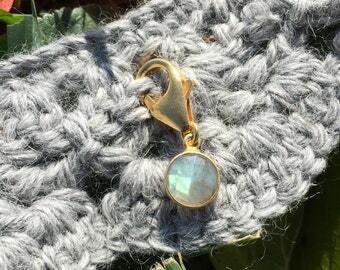 You will adore seeing it dangling from your work in progress! 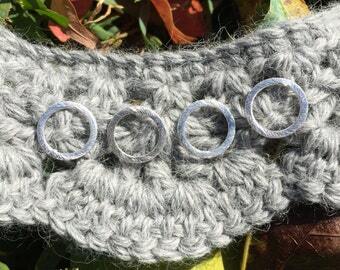 These clasp markers are big enough to clasp onto all weights of yarn up to super bulky (category 6) so they’re perfect for any project, big or small! 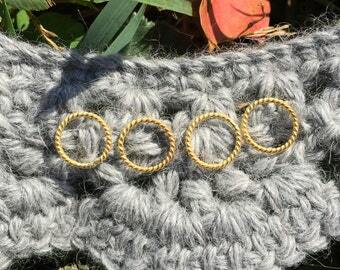 For all you knitters, there’s a bonus add on – beautiful stitch rings! 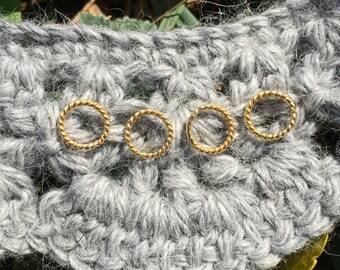 Check out these gold vermeil and sterling silver rings and add them to your cart to create the perfect stitch marker set: http://etsy.me/2eibnRm. They can be held neatly by your new progress marker – check out the last photo to see! 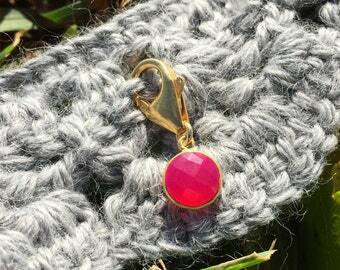 Buying a gift for a knitter or crocheter? They will adore this! 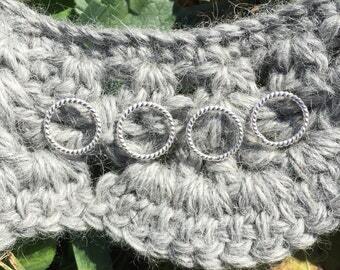 For knitters, a great set would be one of these progress markers plus four stitch rings: http://etsy.me/2eibnRm. 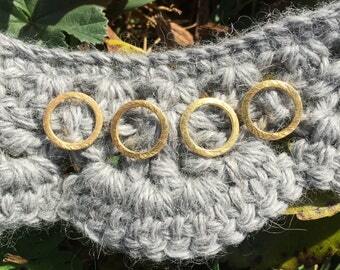 For crocheters, two or more of these progress markers will help them create a wonderful piece! Want this in a different size? A design tweak? Send me a message and I’ll do my best to make it happen! All items are packaged in a lovely small royal blue velvet bag with a drawstring, whether it's a gift for yourself or someone else! 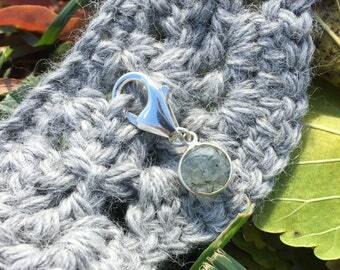 Perfect for carrying in your yarn bag! 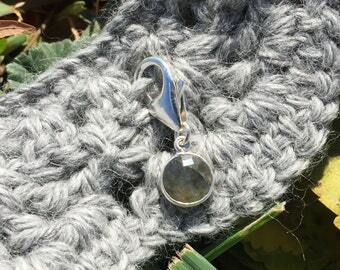 A polishing cloth is included with all sterling silver orders to keep your jewelry shining. 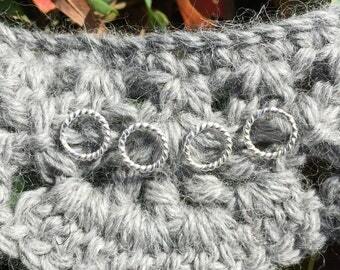 (A note on sterling silver progress / stitch markers -- because silver oxidizes over time, it is not recommended to leave these markers on your yarn project for very long periods of time. 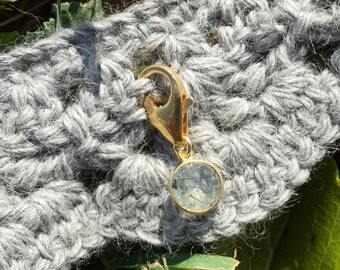 A few weeks is fine, but many months could result in tarnish rubbing off on your project). Pretty. The one I received wasn't as symmetrical as the one pictured, but I understand that nature is imperfect. My partner was happy to receive the necklace. Such a beautiful item and very fast shipping! Thank you!